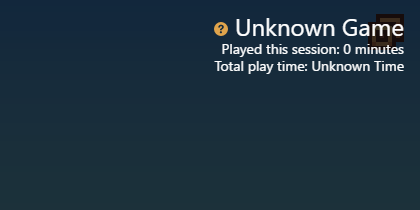 Our Desktop App&apos;s game tracking feature is a manual process so, for now, most games will be listed as an Unknown Game. This is only a temporary measure, however, and in the future this will be fully automated. To add the game, just go to the in-game overlay (Ctrl + Tab by default) > click the orange question mark > and then a prompt will appear where you can add the game title.